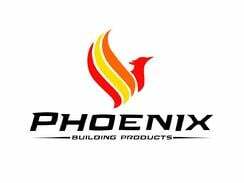 A good way to add beauty to your outdoor landscape is to have birdbaths, birdfeeders, and bright colored birdhouses for the winter birds. It’s important to feed the winter birds because they are helpful to your backyard; they eat the insects that can cause harm to your garden. 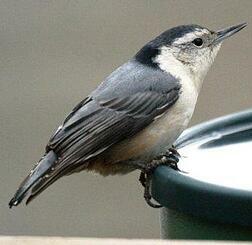 A variety of birdseeds will attract different types of winter birds. The birds fluttering around will also help your yard look active. Planting is a great way to add color and variety to your landscape, and will stand out amongst the snow. It’s important to know what you can plant in your yard that will be able to withstand the colder temperatures. Evergreens are known to survive in harsh conditions, such as droughts and cold winter weather, and continue photosynthesis. While other types of trees lose their leaves in cold weather, evergreens retain their leaves and produce colorful berries, adding bursts of color to your scenery. Adding bows for the holidays will give evergreens an elegant touch. Berry trees are a great option for spicing up your yard. The birds will flock to them, and it will grab the attention of neighbors and the like. 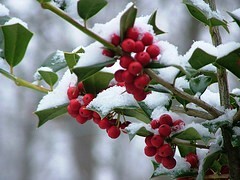 Winterberry, holly, laurel, mistletoe, boxwood and juniper all produce vibrant, colorful berries. The Red-twig Dogwood is a shrub that is beautiful year round, producing white spring flowers and fruit in the summertime. When bare in the winter exposing the red twigs, it looks dramatic and impressive against the snow. Use your imagination and be creative when decorating your yard. Unique touches will make your house stand out from the rest, and there is a style for everyone. 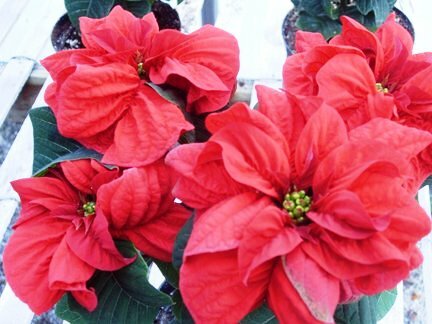 Poinsettias are classic and a must-have for the winter season. Set one out on your porch when you have company for a festive look. If you’re crafty, you can make your own white painted wooden deer to set on your lawn, which has become widely popular in past years due to the elegant style. Wrapping clear mini lights around your trees or shrubs is a look that can be used year round, however during the winter has a serene and peaceful appearance. Installing lights around your walkway or in front of decorations such as a nativity scene will further add to a calming atmosphere. Don’t forget to use a deicer on your walkway and sidewalks to prevent injuries to yourself and those admiring your landscape.